← Question: Can I Get a Publication Ban? It should be noted that if you are convicted and sentenced in respect of a criminal offence, you have 30 days from the date of sentence to appeal both the conviction and the sentence (after which you require leave of the court). Generally speaking, a conviction appeal will only be successful if the trial judge made an error of law or misapprehended evidence in a way that if he or she had not done so, the result might have been different. 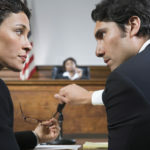 In the case of a jury trial, the judge must have erred in law, say, in admitting important evidence that should have been excluded (or vice-versa) or in erring in instructing the jury on an important point of law or evidence. As to sentence appeals, they will generally only succeed if the sentence is “unfit”. The range of what constitutes a “fit” sentence can be broad. Cases which are decided on the basis of a credibility assessment by the judge are particularly difficult to appeal because the judge is entitled to make findings of fact that will be deferred to by the appeal court. In other words, the best place to win your case is at your trial, not on appeal. If you are charged with a criminal offence, then, it is critical that your defence be presented as effectively as it can possibly be at trial. If you are convicted and taking your case to appeal, the prospects of success are much lower than they would be had the trial been conducted as well as it could possibly be. That’s because not only does a well-conducted trial increase your odds of acquittal at trial, a good lawyer will conduct the trial with a view to laying the evidentiary and legal foundation for a successful appeal in the event you are convicted. Sadly, some accused don’t seem to realize this. They will retain a less experienced or less capable lawyer in order to save on legal fees thinking that if they are convicted, they will find the means to retain a more effective, and therefore more expensive, lawyer to appeal that conviction. This is a risky and ill-advised plan, often motivated by a reluctance to seek financial assistance from family until the best window of opportunity for success has passed. You can ultimately appeal a case on the basis that your trial lawyer was incompetent, however that is a very narrow ground of appeal and a difficult one to succeed on. The principal reason for that is that in many cases, there are countless strategic approaches a lawyer might employ in defending it. An appellate court is not going to second-guess a strategic decision. For that reason, there is a strong presumption that your lawyer was competent and was advancing your interests. Thus, the evidence of incompetence must be clear and overwhelming. The moral here is clear: if you are charged with a criminal offence, don’t mess around. 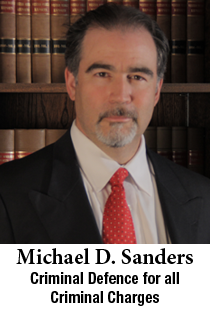 Hire the best lawyer that you can afford with whom you can effectively communicate and in whom you have confidence. If you need to swallow your pride and embarrassment and seek assistance from your family, do it.